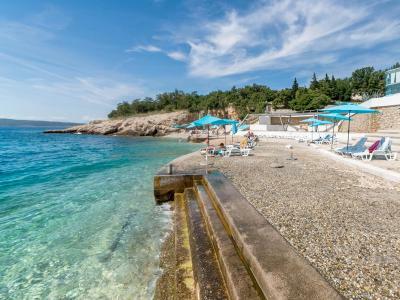 We'd like the hotel "sand" beach, what is not very usual in Croatia. Inside pool with salty water was nice, but need reconstruction. Beautiful resort, camr here for the 3 time. Maybe will even come back. But apartments where we stayed needs total renovation, walls are dirty, no room service for a week!!! Tennagers in jeans shorts bring towels every day. There is no qualified personnel to clean. 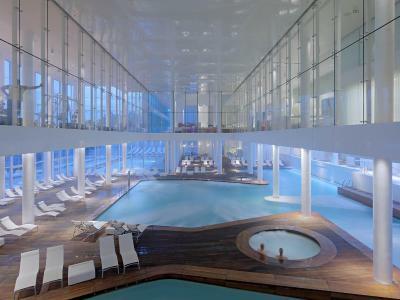 Wooden floors in spa area and near the pool needs to be replaced. Those are the small things that do not fit into a 4 star hotel, but overall the territory of the hotel is very quite and braches are not crowded at all. Thats a definate plus in Croatia. Anyway please do sonething with the room service and we will come back! We had the best appartement wth the best view! Thx a lot! It was a very good vocation! 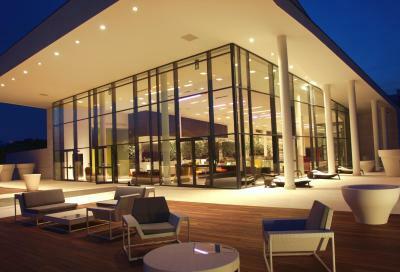 Very good hotel wth very beautiful territory . Large , good equipment beach with wonderful cristal sea. its beautiful lacation and very nice place in general. I like architectural ideas how its created. Nice pools and complex spa with gym. 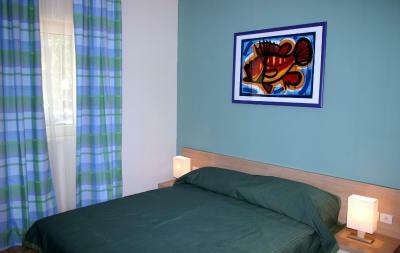 Apartments are very spacious and clean, beds are great, funiture and kitchen equipment are execellent. 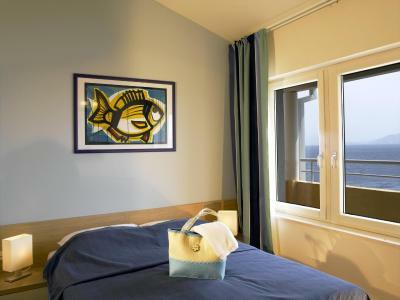 All Apartments have sea view. Staff is great, they manage to be very fast and professional. 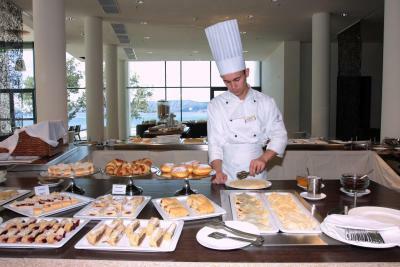 Love the food at the hotel. 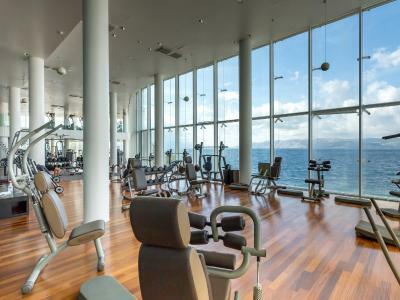 Spa is marvelous, never seen so big spa also vitw sea view, so weather doesnt' matter! :-) Tried face and body massage-woow!!! Felt so good after that. Next time will stay much longer. 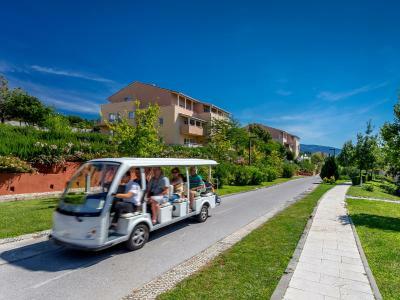 Novi Spa Hotels & Resort Apartments This rating is a reflection of how the property compares to the industry standard when it comes to price, facilities and services available. It's based on a self-evaluation by the property. Use this rating to help choose your stay! 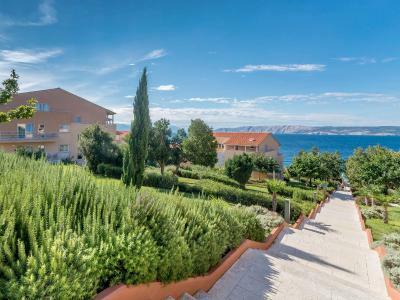 One of our top picks in Novi Vinodolski.Novi Spa Hotels & Resort Apartments is located on Kvarner Bay on a gentle hill offering breathtaking views of the island of Krk. 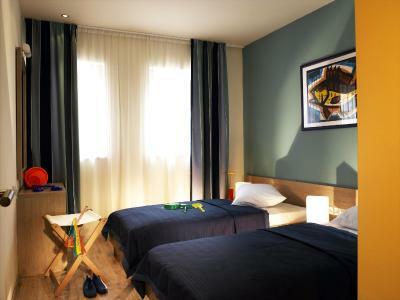 It offers fully equipped apartments with air conditioning. 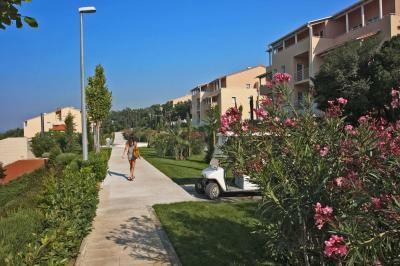 All apartments feature underfloor heating and one or 2 bathrooms with bathtubs and showers. 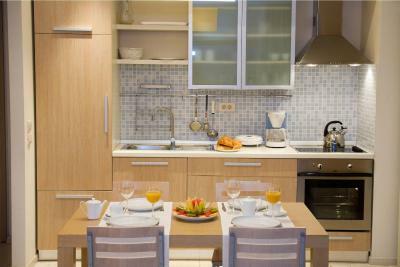 A fully equipped kitchenette is available in each of them, while some also offer views of the sea. The Novi Spa consists of a hotel, apartment houses tastefully furnished in Mediterranean style, first class restaurants and bars. 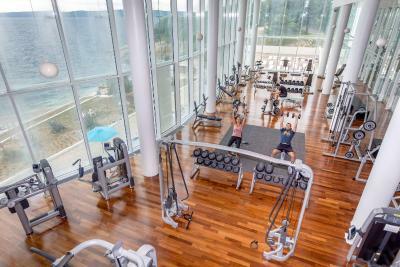 Guests can enjoy the state-of-the-art wellness center spreading over 33 ft² and featuring seawater pools and a whirlpool bath. 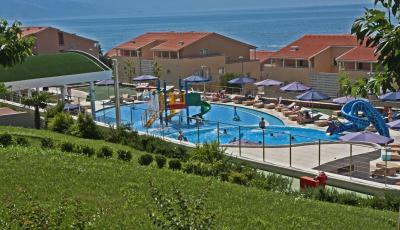 There is also a seasonal outdoor pool , a children's club with a playground and a bar. 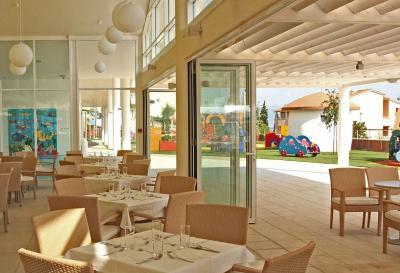 Various animation programs for children and adults are offered at the property. When would you like to stay at Novi Spa Hotels & Resort Apartments? 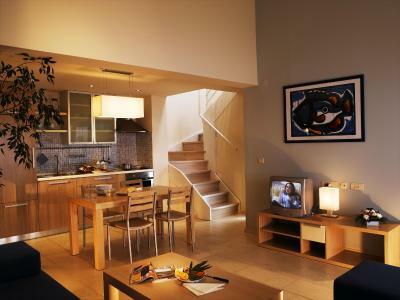 In these luxurious apartments (180 ft²) you have everything you need to relax and fully enjoy your stay. 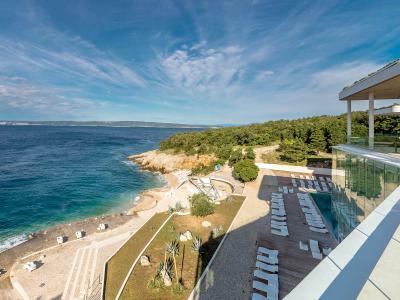 They consist of one double room, a spacious living room with custom-made designer furniture, a fully equipped kitchen, a dining area, a bathroom with luxurious bath products, a balcony with sea view and offer individual air conditioning for each room, floor heating and much more. 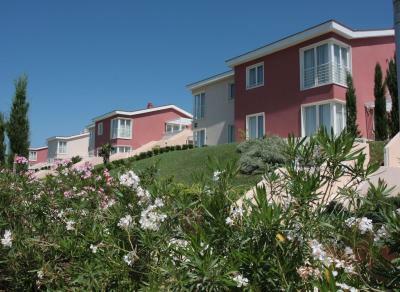 In these luxurious apartments (230 ft²) you have everything you need to relax and fully enjoy your stay. 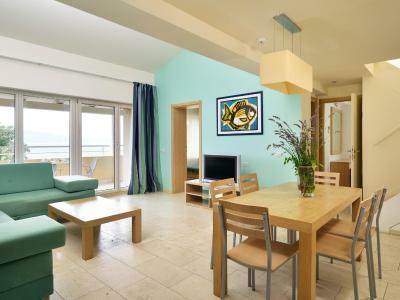 They consist of one double bedroom, one bedroom with bunk beds, a spacious living room with custom-made designer furniture, a fully equipped kitchen, a dining area, 2 bathrooms with luxurious bath products, a seaside balcony with a beautiful view and offer individual air conditioning for each room, floor heating and much more. 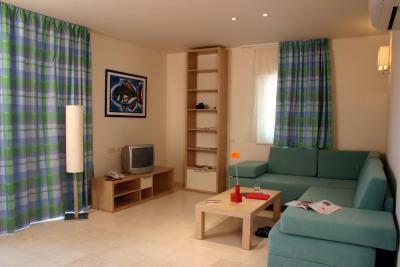 In these apartments (230 ft²) you will find everything you need to relax and fully enjoy your stay. 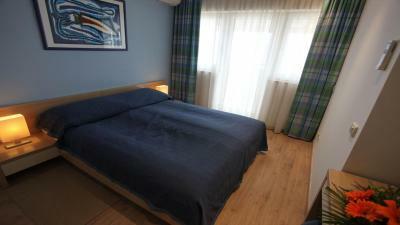 They consist of 2 double rooms, a spacious living room with custom-made designer furniture, a fully equipped kitchen, a dining area, 2 bathrooms with luxurious bath products, a balcony with a view of the Mediterranean garden and the sea and offer individual air conditioning for each room, floor heating and much more. 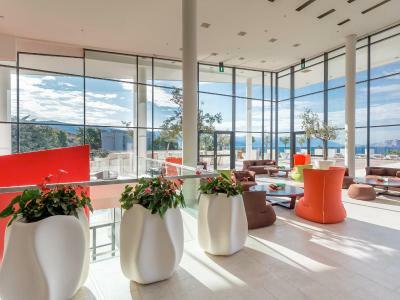 In these luxurious apartments (328 ft²) we have paid extra attention to design and to every item of decoration in order to make sure you have everything you need to relax and fully enjoy your stay. 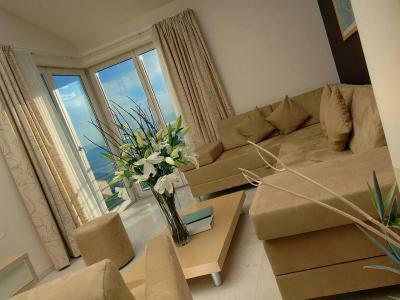 They consist of 3 double rooms, a spacious living room with custom-made designer furniture, a fully equipped kitchen with a dining area, 2 bathrooms with luxurious bath products, a spacious terrace with direct sea views and offer individual air conditioning for each room, 2 flat-screen satellite TVs and much more. 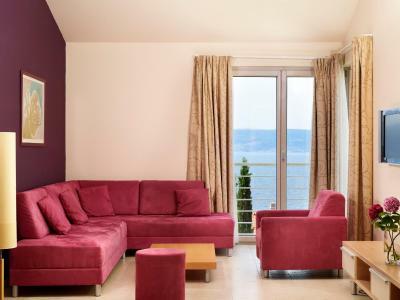 This air conditioned apartment consist of 2 bedrooms, a spacious living room with custom-made designer furniture, a fully equipped kitchen, a dining area, 2 bathrooms with luxurious bath products, a balcony with a view of the Mediterranean garden. 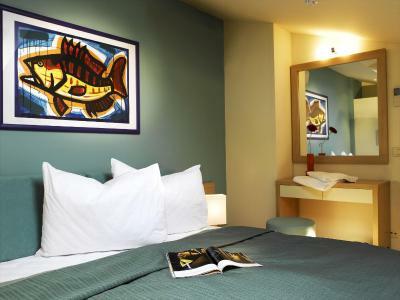 Please note that the apartment and bed type will be allocated at check-in according to availability. 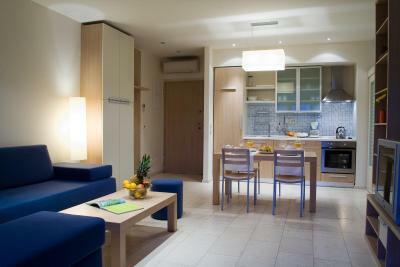 Guests may be asked to change apartments during the stay, and types may vary. 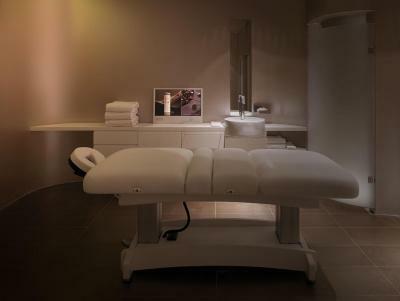 Enjoy the luxurious facilities and amenities in our wellness centre NOVISPA. 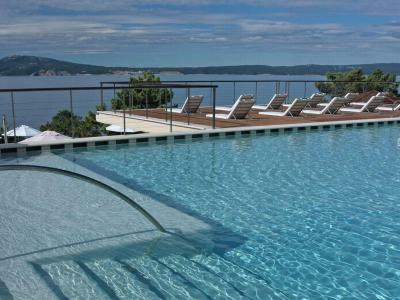 Entrance, unlimited use of sea-water pools, Jacuzzis, Finnish & Turkish sauna and the superbly equipped Fitness/Gym are free of charge as well as the summer pool complexes. 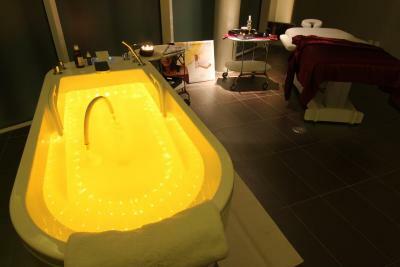 House Rules Novi Spa Hotels & Resort Apartments takes special requests – add in the next step! Novi Spa Hotels &amp; Resort Apartments accepts these cards and reserves the right to temporarily hold an amount prior to arrival. 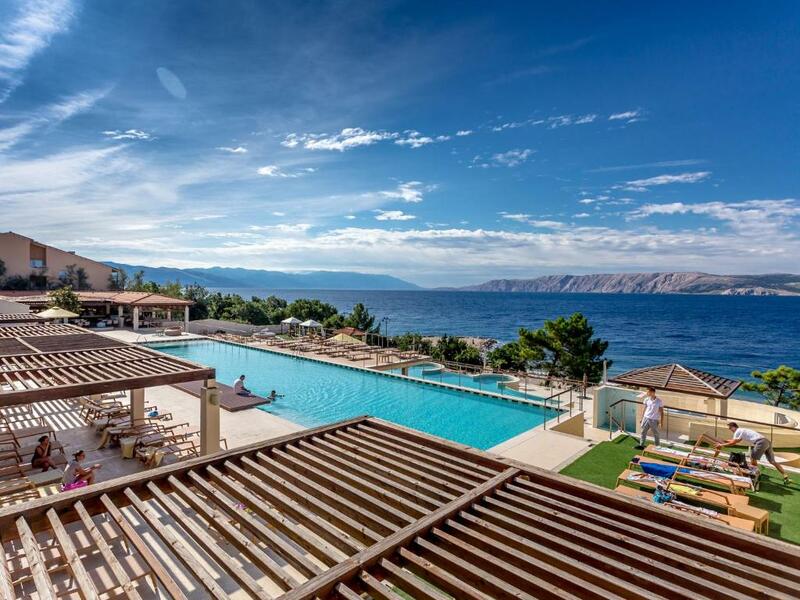 Novi Spa Hotels & Resort Apartments accepts these cards and reserves the right to temporarily hold an amount prior to arrival. Please note that the outdoor swimming pool and children's club are available from beginning of June until beginning of September. 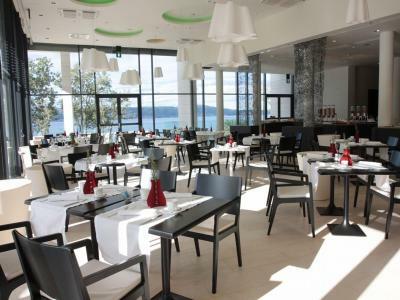 Excellent food in hotel restaurant at lunch and dinner. 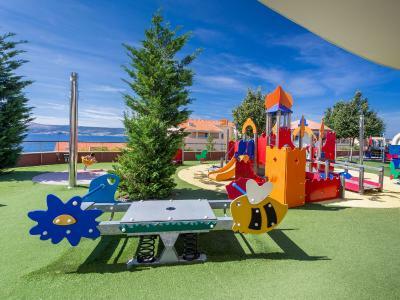 Great pool areas, also for kids. 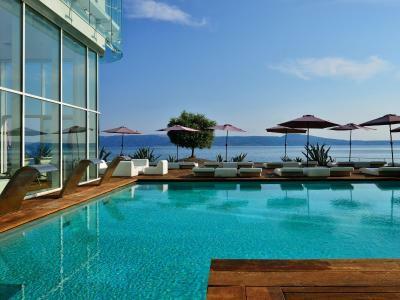 Superb view on adriatic sea. 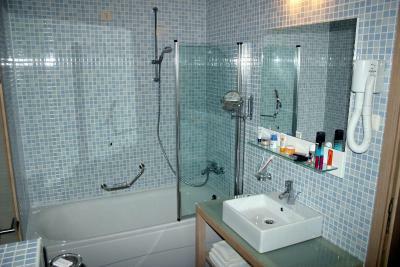 I don't know where to start, the place is so overdated, there is no single room or space where something is not broken. 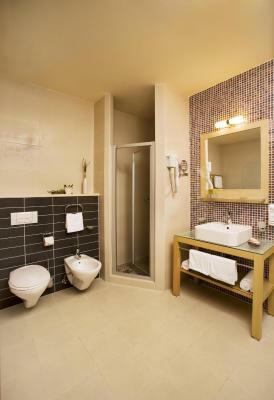 Start with our "luxury" apartments - one of the showers and toilet was blocked, no lights in actual shower, so you are in the dark all the time, maybe it is done on purpose, so would not see dirt, shower door broken and does not close. In general all space needs a good cleaning. Then SPA area - in sauna lights are broken, not working. Out of 10 showers in all area only 2 showers are working, water in the pool is super cool, refreshing, glasses are all dirty and needs a good cleaning. 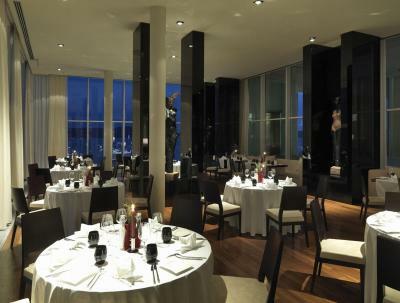 Thank God we did not opt for dinner in the restaurant, as when we ordered club sandwiches in the bar area, wow we were really shocked. All over the world club sandwich is same, and it is quite difficult to ruin it. So let me tell you, thay really managed! Cezar salads same shockingly awful taste. 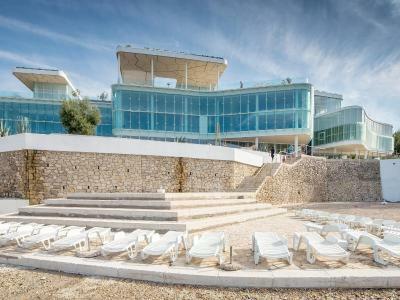 Paying nearly 500 euro a night, I would expect good service and at least decent facilities, as place is understaffed, in need of good scrub and in some cases renovation. We would never come back, and would not recommend to anyone else. The view was really magnificent!